I used to think it was only possible to have one of these options. Now I know that’s not true. You can have both at the Grand Lexis Port Dickson! 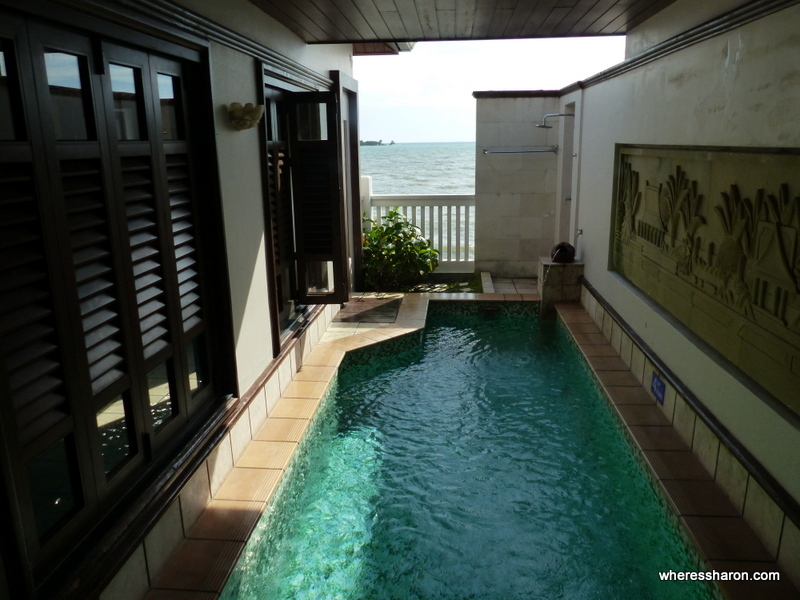 I first discovered these fabulous pool villas at the Grand Lexis when I was researching accommodation options for my article about Port Dickson. This is actually our third visit to this part of Malaysia. 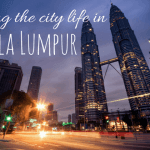 I love it because it’s near Kuala Lumpur airport (so very convenient) and it has the best value accommodation I have ever found if you like luxurious over water villas. And who doesn’t! Over water private pool villas. Does it get better than this? 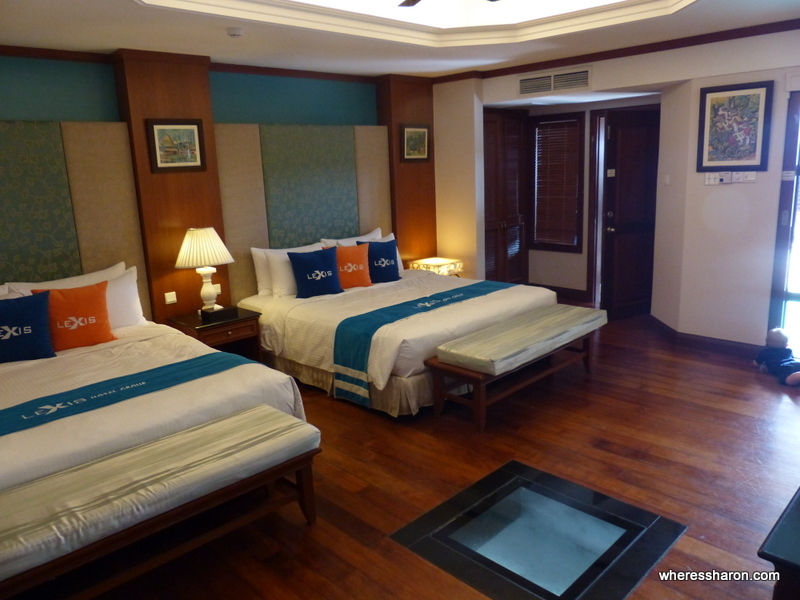 In this Grand Lexis Port Dickson review, I’m going to show you inside our awesome pool villa and give you all the details of staying in the Grand Lexis. Just to be very clear, this Grand Lexis review is not sponsored in any way. We paid for the room ourselves and we never tell anyone that we are bloggers. 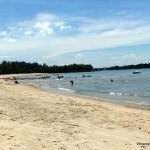 You can read about other resort options in Port Dickson here. The resort is quite large with a variety of room types. Many of them have private pools and you have the option of being in the hotel part or in a villa over the water. We, of course, could not resist the temptation of being over the water. Our check in experience was incredibly positive. In fact, it’s probably the best one I have ever had. The staff were super friendly and helpful. Managers came up and introduced themselves. They described some activities on offer and gave the kids a voucher to do this. They gave me a free gift (travel sized toiletries). They helped us unload the car, put us in a golf cart and drove us to our villa. We booked an executive pool villa and were upgraded on check in to one with a full ocean view – this means we were pointed out at the end facing the sea rather than facing another villa. The villa is a decent size. It started with a bedroom area – this has two queen size beds, desk area, cupboards, fridge and plenty of space. We had 5 of us including a baby in a crib (we travel with our own) and there was plenty of space. There was a ceiling fan and good air conditioning in this area. The fridge came with a couple of free complimentary soft drinks as well as some bottled water. The coolest part about the bedroom area is definitely the glass panel down to the ocean below. We all loved looking through it especially our baby. 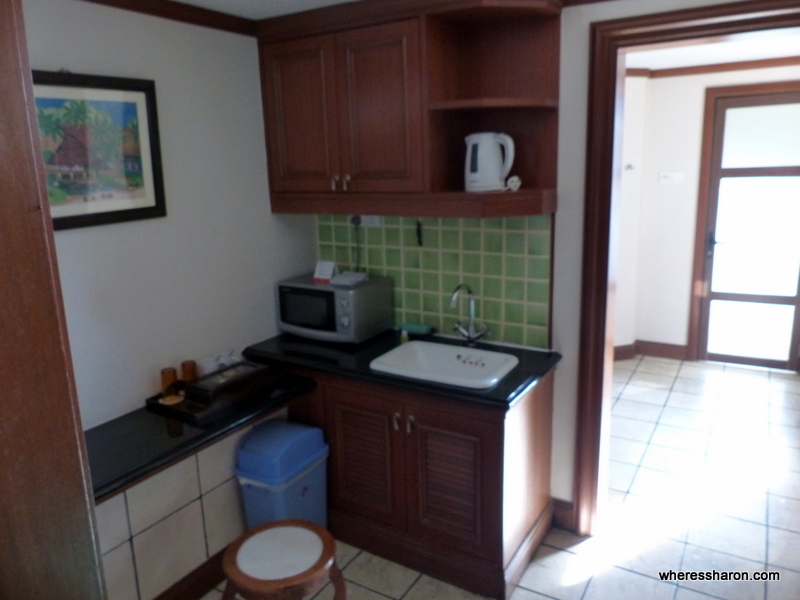 Next to the bedroom is a kitchenette with microwave, stools, sink and some crockery and cutlery. 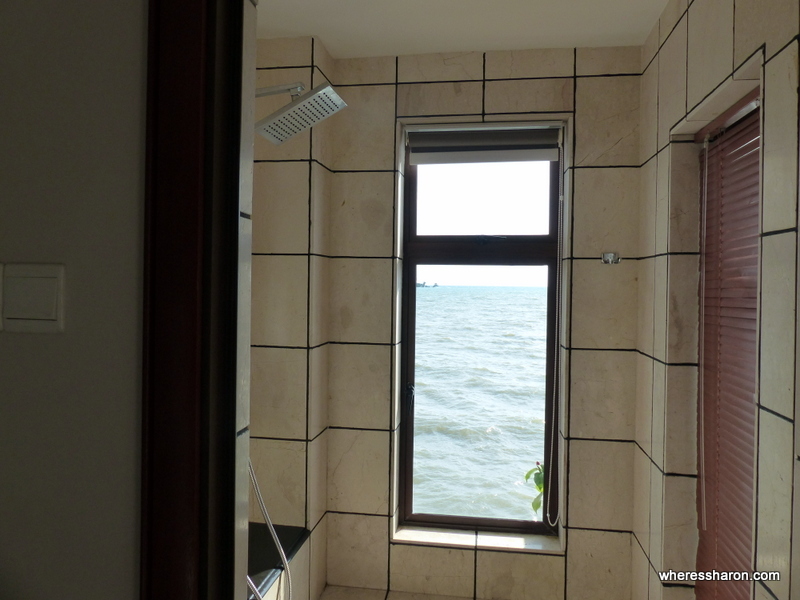 Next is the bathroom with the shower having ocean views! Great views from the shower! There is also, of course, the pool! There are doors to it from all rooms. It was beautiful and there were ocean views behind it. The pool was a good depth (our tall 5 year old could just stand up in it) and there are steps on one side. There is also an outside shower and rack to hang your bathers or towels. One of the best things we found in our pool villa Grand Lexis review is that the doors from the bedroom area were lockable near the top. This means you have no worries about young kids getting to the pool accidentally. The villa was beautiful, very clean and well equipped. It also had its own modem so we had great wifi. In the evening, the staff brought by fresh towels, more water and two extra toiletry bags full of toiletries. The kids loved driving the little cars! The Grand Lexis has a lot of kid focused or kid friendly attractions to help with rainy days, younger sibling nap times or when the pool isn’t enough. Outdoors there’s an inflatable maze, archery, segways and mini electric cars for kids plus bikes to rent. Most of the activities cost 10 MYR and what you get varies depending on the activity itself. With the mini cars, 10 MYR buys seven minutes although given the lack of customers the staff were relaxed about the time. There’s a pool. It’s a good size especially as most people have their own pools. My one complaint is that the photos of the pool online on the resort’s website and booking websites make it look huge and it’s not. There’s two small playgrounds. One of them is in a pool and this is great fun for young kids. 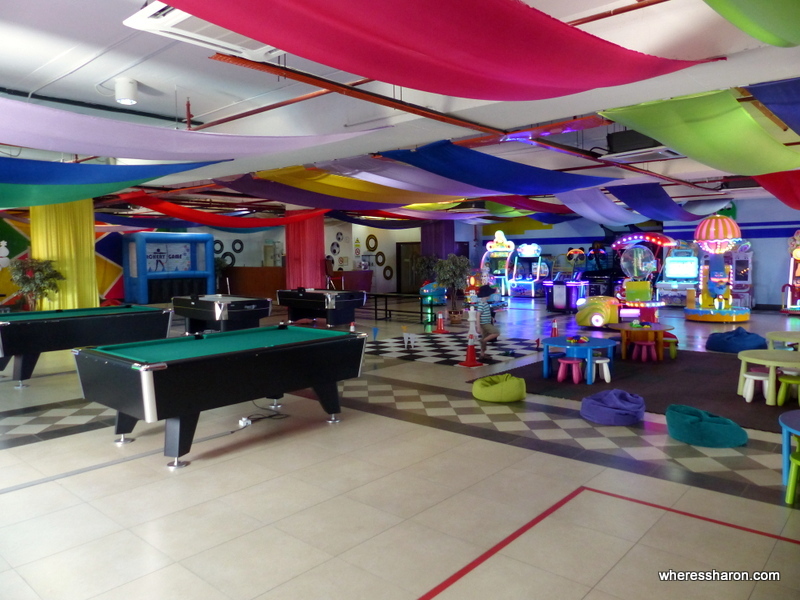 Indoors, there is a games room that’s a bit like a game arcade, with lots of arcade machines as well as snooker tables, table tennis, air hockey and a Wii and XBox as well. Almost everything costs, though – the air hockey was 5 ringgit for 10 minutes, cues and pool balls were 10 ringgit for half an hour. There was a small indoor playground and some tables with blocks to play with which suited baby J just fine. With all the arcade games though, it’s quite loud. For adults, there’s a small gym and a day spa as well as a karaoke room. There are several restaurants and room service available. I was surprised the restaurants didn’t make better use of the location and incorporate views better. We preferred room service and enjoying our room. There is a range of cuisine on offer from Malay to Italian. Prices are MYR30+ for a meal with most around the 30 mark. One of the restaurants is a dedicated Japanese restaurant and this food is SO GOOD! We loved it. One of the best Japanese meals I have had. Read more about what you can do in the area while you are staying at the Grand Lexis in my full guide here. 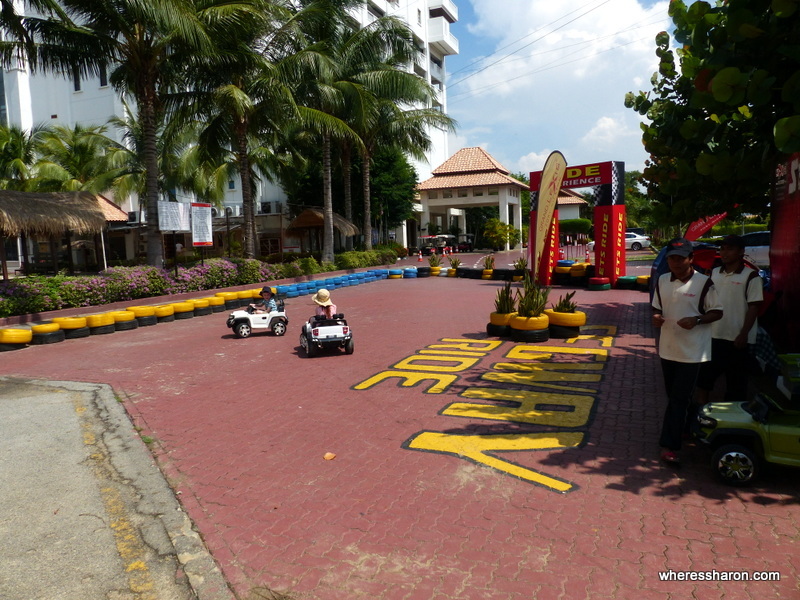 You will also find more information about getting to and around Port Dickson. We have previously stayed at the Avillion Port Dickson. Twice! You can read the full review here. We have loved both options and they both have their pros and cons. I loved our room at the Grand Lexis Port Dickson much more. It is far bigger and the private pool is just superb. It is more private but this comes with the cost that it felt less like we were in an over water chalet as it’s quite self contained without much of a view to the water (although I do love the glass floor panel). The facilities at the Avillion Port Dickson are much better though. There were more places to hang out and the kids’ room and petting zoo are fabulous if you have kids. There is a beach to enjoy. There is also alcohol available at the Avillion. Maybe it exists at Grand Lexis but I did not see it. If you want a fabulous room with private pool, pick the Grand Lexis. If you want better hotel facilities, pick Avillion Port Dickson. The Avillion is cheaper. 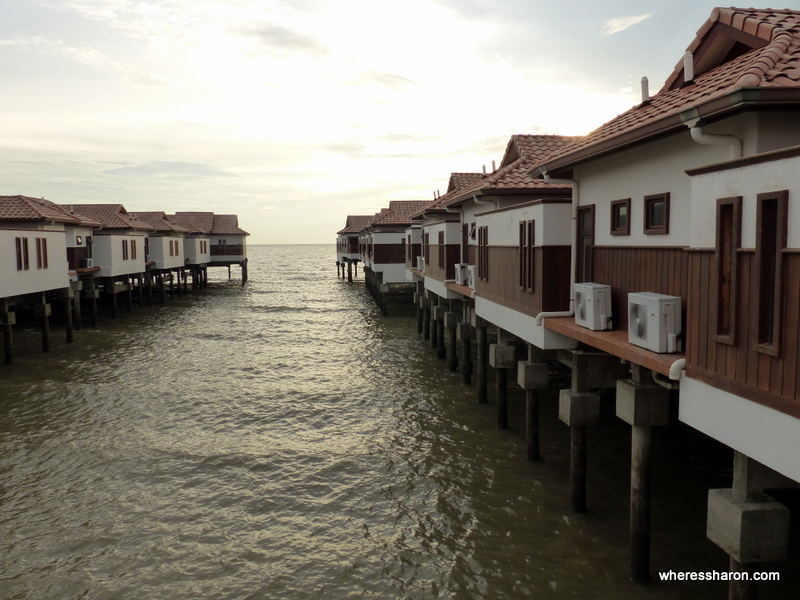 You can see latest prices for Avillion Port Dickson here and latest prices for Grand Lexis here. 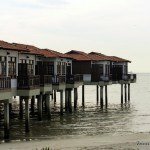 We loved staying at the Grand Lexis Port Dickson. So much that I am sure we will be back again. The highlight is by far and away the awesome villas. We love having a private pool and there is something so luxurious about being in an over water villa. It was just fantastic! Especially for the price. We stayed here with our three kids aged 5, 6 and 10 months old. The kids just love it and I highly recommend it for families. I don’t think I have ever seen Baby J so happy. He wanted to be in the pool trying to swim the whole time. It was so cute! This is also a great choice for people without kids. In fact, it might even be better. The villas are very private and I would have loved to spend my honeymoon like this! 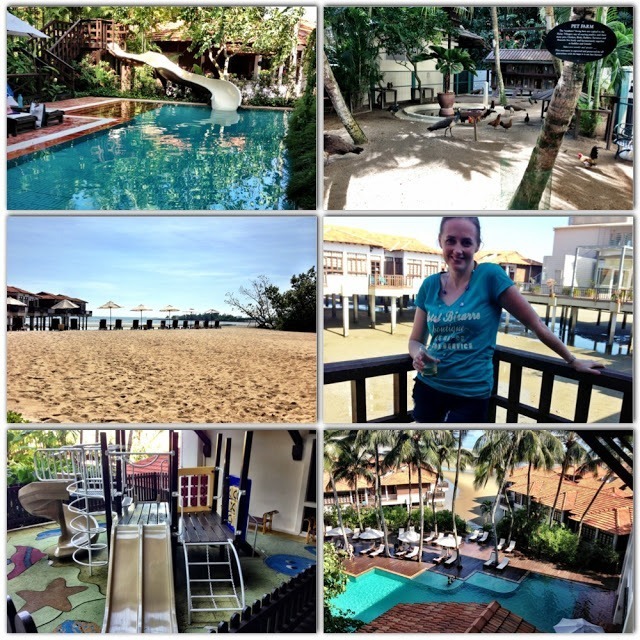 The internet is also good so if you are a digital nomad, like me, you will love it here too! Disclaimer: This article contains affiliate links. If you make a booking after clicking on one, I may receive a small commission at no extra cost to you. Thanks for supporting our site. Thanks for the look round. I agree — over water villa and private pool are key! Also, that games room is mind-boggling! Always loved your honest review and already awaiting for your next adventure. May I know how much did you book for your this villa vs the villa you had with the Aviliion? Just wanted to have a feel of the comparison. Hey! I think it was AUD$120 vs $220 but I can’t quite remember the Avillion. Wow, sounds great. I never knew there were such good accommodation options near the airport. Were you concerned about child safety in the over water villa? My kids are still learning to swim. Hi Wai! The villa was very secure. There were locks on the doors at a high level so there is no way the kids can get to the pool by themselves. Thank you, so much for this review. Your all reviews are so helpful!! I went there for my honeymoon 6 years back! It was fabulous. However, we had two complaints, one was that the pool was freezing, and another was that it was a little scary to be in the last villa over the sea when there was a thunderstorm one night! Do they have heated pools now? Oh no! I’m not sure if it was heated or not but it was warm. That sounds quite spectacular but I can see that it would be scary too. on what month was your visit there? This hotel was in April this year. We have been to Port Dickson previously in April as well as November. What an awesome villa! I was a little surprised it was near the airport there is a villa like that. This interesting thing that rarely can be in a place that is actually easy to reach is not it? Cool! As does our villa with a unique feel of solitude and privacy amidst the center of the crowd. What always feels cool stay on the water like that ?. Because here in Seminyak-Bali obviously hot because that many european tourists come here. You can visit our website also maybe you can give a review about our villa. Thanks.